In the United States, the sole resident armadillo is the Nine-banded Armadillo which is most common in the central southernmost states. Armadillos are prolific diggers and use their sharp claws to dig for food, such as grubs, and to dig dens. The Nine-banded Armadillo prefers to build burrows in moist soil near creeks and streams. The diet of different armadillo species varies, but consists mainly of insects, grubs, and other invertebrates. Armadillos have poor vision but are not blind. 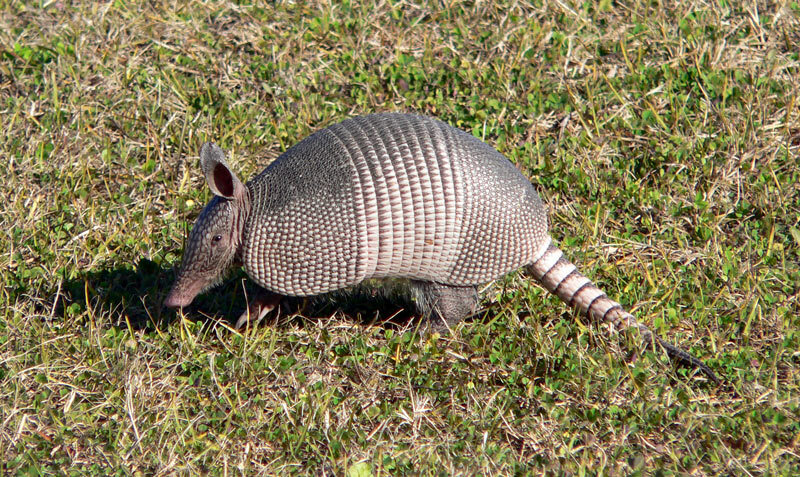 Armadillos causing problems in your lawn or garden? Armadillos can cause a lot of damage to your lawn or garden. Some will even look to burrow under your home or other buildings. 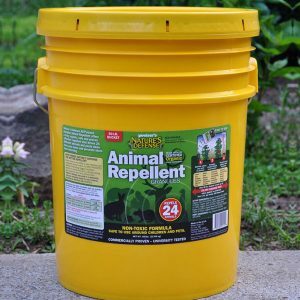 Nature’s Defense is the most powerful form of Armadillo Control available today and your natural solution that is easy to use and guaranteed to work. Now you can use the same research proven formula that professionals use as part of their animal control business. 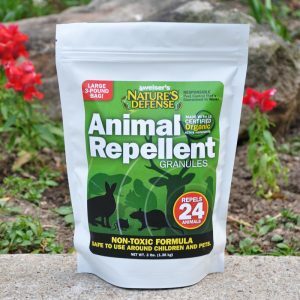 Controlling beavers is easy by simply sprinkling Nature’s Defense organic formula around the area you want to protect; your Armadillo problem will be solved quickly and easily. 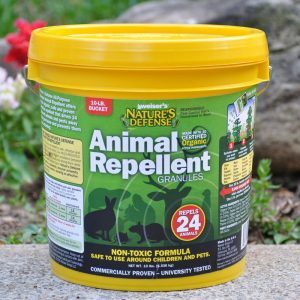 Sprinkle Nature’s Defense granular animal repellent directly over and around the areas that the Armadillos are causing damage too. Apply Nature’s Defense twice a week for the first two weeks, then once a week for maintenance.